IMPORTANT EDIT 2019: Since this post was published, Morphe has given conflicting and misleading information regarding their animal testing policy and vegan products. For this reason, I’ve moved them to the grey area, which means that they’re not officially cruelty-free. 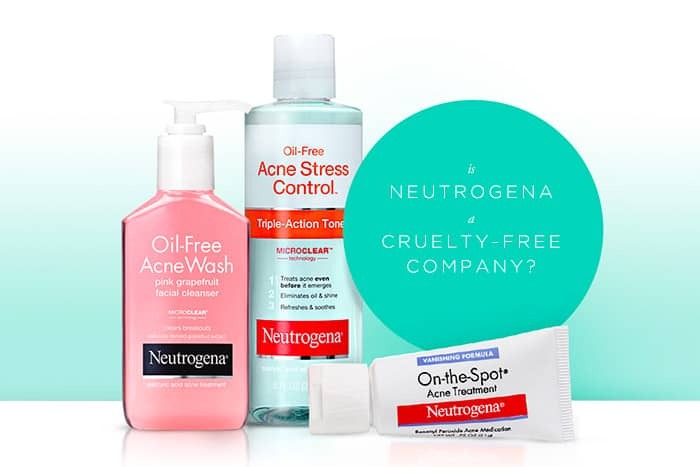 Given the conflicting answers regarding their cruelty-free status and misleading info regarding their “vegan” products, I don’t believe that this company should be trusted. I suggest that you avoid Morphe if you want to purchase from companies that are cruelty-free. We’ve received so many questions about Morphe’s animal testing policy as the brand became more and more popular. 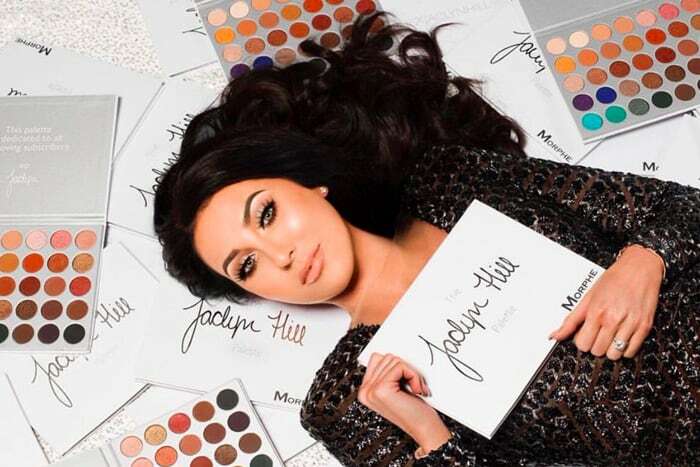 If you’re familiar with the youtube beauty community, you’ve definitely heard of Morphe (pictured above is Jaclyn Hill and her palette in collaboration with Morphe). They specialize in brushes and eyeshadow palettes at affordable prices. Despite their popularity, Morphe’s cruelty-free status has been surprsingly hard to get. We’ve reached out to them multiple times and haven’t heard back… until now. They kindly answered all our questions, which you’ll find below, and it turns out that Morphe is cruelty-free! They have confirmed that they don’t test finished products or ingredients on animals. They also stated that their suppliers don’t test on animals, and no third parties test on animals on their behalf. They don’t test on animals where required by law and their products aren’t sold in China. They are a private company and they do not have a parent company at this time. Keep reading for their policy and a Q&A. Morphe does not include an animal testing policy on their official website, so I reached out to them to find out if they are cruelty-free. This is the response I received. Morphe absolutely does not use any of our products on animals for testing purposes and we do not condone the use of animals for cosmetic testing, this also includes companies we work with. We do not market our products in other nations directly, our social media channels and associates tend to be the main source of our PR. We do work with distributors in various nations but we only allow these if they meet our terms and policy as they represent our products and public image. We are our own private company and are not associated with any other company, organization or entity. We offer both natural and vegan products between our various lines. Our brush sets include sets that are Natural Bristles and sets that are Synthetic Bristles. We have sets that are a mix of both as well, but in all cases we do indicate on our website which is which with full descriptions per brush. Regarding our palettes and cosmetic products, You may view each product’s individual list of ingredients on our website per product, please keep in mind that some ingredients that usually come from natural source, we actually have subbed them with synthetic versions, if you see a product you wish to get more information about, let us know. To accommodate all our customer’s needs we do offer alternative vegan / synthetic brush sets on our website. Please search using keyword Vegan and Synthetic to see all these products. To further state, all materials used in our manufacturing are gathered in a cruelty free manner, including those we receive from companies we work with. We hope this answers your questions regarding our process. Since the email response was incomplete, I followed up with them with the following questions to confirm they are cruelty-free. Here are their answers, with my questions in bold. We absolutely do not use any of our products on animals for testing purposes and do not condone the use of animals for cosmetic testing. No our suppliers do not test on animals. No our company doesn’t hire or allow third parties to test on animals on our behalf. 4. Do you test on animals wherever the authorities require it by law? Fortunately our brand isn’t associated with regions that test on animals by law. 5. Are your products sold in stores in mainland China? Here is a list of our international distributors, you will see we do not have any in China. As mentioned in the email correspondence, Morphe makes both natural (animal hair) and vegan (synthetic) brushes. In addition to brushes, they also offer their own line of makeup products, some of which are vegan-friendly. Many of their makeup products are not vegan-friendly as they contain lanolin (sheep wool fat) or cera alba (beeswax). Morphe is cruelty-free, and has been added to our list of cruelty-free brands! Yes I was wondering this as well. “Made in China” does not mean animal testing. “Sold in China” does, and Morphe isn’t sold in China. That is incorrect, there are many cosmetic product categories sold in China that are not subject to mandatory animal testing. One such category is general use cosmetics that are made in china. Manufacturing in China does not require animal testing, SELLING in China does. Odd but that’s what it is. Exactly! That is what I came here to write. It doesn’t make sense! Hey girl. Crueltry free menas that the products are not tested on animals. Don’t mean that they havent use any animal product. Its quiet stupid, but that is the meaning. So Morphe is crueltry free but not vegan. 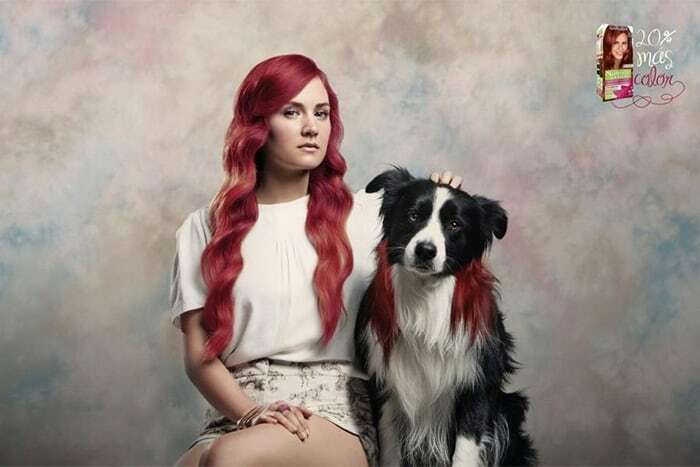 cruelty free means with out cruelty … so if they are getting the hair whilst harming animals that’s not cruelty free. Just like mink eyelashes, the hairs are collected after they shed the hairs and are on the ground. Their products are cruelty free, they don’t claim to be vegan. Mink are agressive animals though so they can’t just brush there hair whilst they shed their fur, they treat them horribley, so mink are not cruelty free, but I don’t know anything about badgers so I can tell say anything on them. Hello! I’m still new to this cruelty free thing, but I don’t understand how Morphe is considered cruelty free when they still make natural hair brushes? Can someone explain? Thanks in advance! cruelty-free is when the animals are brushed for their hair rather than any of the crueler methods. Vegan is when no animal hair is used (synthetic brushes). Some people disagree with this method of labeling, as they argue the conditions the animals are kept in are sometimes horrible and thus not cruelty-free; if this is your belief then you should look for synthetic brushes, not cruelty-free ones. I just received my Jaclyn Hill palette, but on the packaging it says made in China. Wouldn’t that mean they test on animals? I’ve literally been stalking your website today. It’s been so useful! I found out about 85% of my skincare and makeup products are from brands that test on animals. I’m not going to throw anything away, but over the next couple of months I will definitely phase out of these brands and start buying cruelty free. Thank you for all the info! Congratulations on finally getting this information!!! It has been so hard to get a response from them. 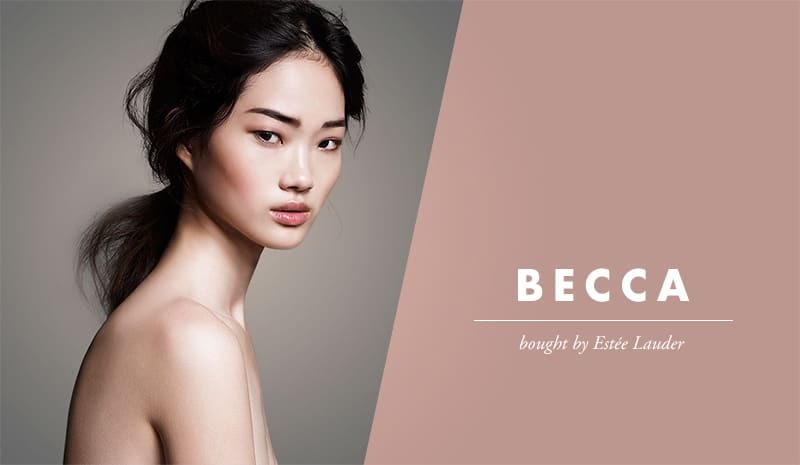 Side note: You may wish to change your questionnaire from “Sold in China” to reflect their most recent mandate regarding special use cosmetics and the exemptions from mandatory testing. Do they contain any pig by products? Do they contain any ingredient derived from the pig? How can Morphe be cruelty free when the have brushes from animal fur? They aren’t cruelty-free at all. They use carmine in their shadows, including the new Jaclyn Hill vault collection. Morphe claims to be cruelty-free and has no claim to China? Here is Jaclyn Hill’s video where she claims Morphe “ships from China to the US” please start the video at 30 and listen to 41-42. They are cruelty-free but have a warehouse in China where testing is the law and ships their product to the US? Doe no one else find that particularly …odd? The majority of US brands have manufacturers or warehouses in China without selling in China. Products are only tested on animals in China if they’re sold there. If you go on their website you can ship to China and they make their products in China. Those products regardless still have to be tested. So morphe basically lied. Which honestly isn’t too surprising since the work constantly with Jaclyn Hill. No, brands who manufacture their products in China don’t engage in any animal testing whatsoever. The animal testing laws only apply to products sold in China. Is Jacklin hill morphe made in china a real one or a fake one ?? Their bristles are made of badger and squirrel hair, which they are clubbed over the head and throats slit for their hair… how is that cruelty free??? Its disgusting!! Just because they dont test on animals doesnt mean their ingredients arent supplied through heartless tactics. Please stop spreading their cruelty free status, its not true. Unless its vegan, its NOT cruelty free. Are the beauty products made in China? Hi, I was just checking their shipping to countries in Asia and China was included in the list. Isn´t that quite weird according to their statements above? The Jaclyn Hill pallettes are absolutely NOT vegan. They contain Carmine. Please don’t send vegans to purchase a non vegan product because you don’t have all the facts. Although I am glad Morphie’s products are not tested on animals, how can you certify as cruelty free when they use animal hair. Do you know how they collect the hair of the animals? Is it cruelty free? Is there a way to confirmed how they collect the animals’ hair? I’m honestly asking this without trying to sound rude. If their brushes are made out of animal hair, how can they be cruelty free? Can I just hooray! Thank you so much for reaching out to Morhpe and getting the scoop on their animal-testing policy. I am sure I speak for everyone, when I say that this certainly puts my mind at ease. Morphe gives back in spades what other companies fail to do, and that is, MORE BANG FOR YOUR BUCK! MORPHE IS NOT CRUELTY FREE!! all of their brushes (with the exception of one always sold out one) are all animal hair!!! Im actually surprised such a brand name is still so cruel being that vegan brushes are as good if not better since they do not shed and are easier to clean and maintain.